I have decided that my favorite types of foods are those that combine salty and sweet. This explains my loved of salted carmel, chocolate covered pretzels, bacon wrapped dates, chicken and waffles - the list could go on. 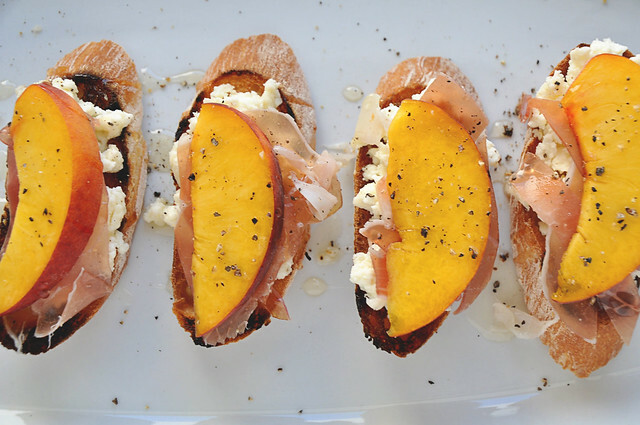 Here is a recipe that falls into directly that category - crostini topped with ricotta, prosciutto and peaches. This appetizer combines the best of any possible sweet and salty world. Fruit, cheese, bread, and tasty pork parts. 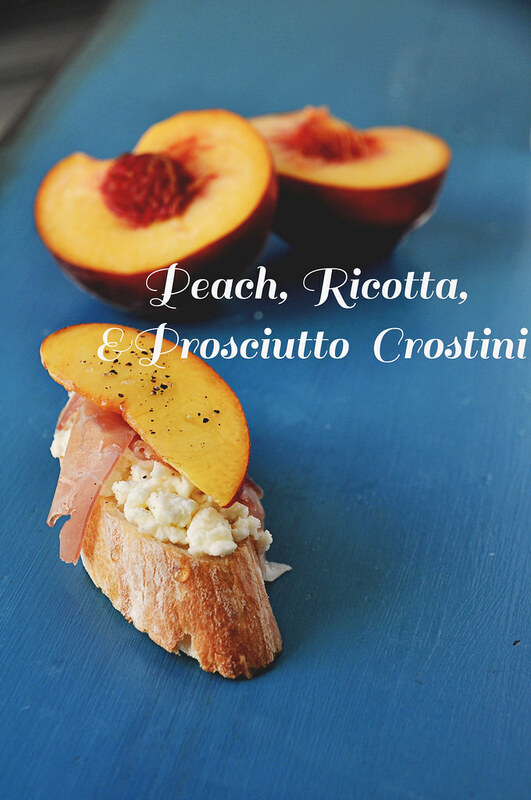 Plus it is the most perfect summer appetizer with those beautiful ripe peaches on top and really easy to throw together, especially if you are grilling. 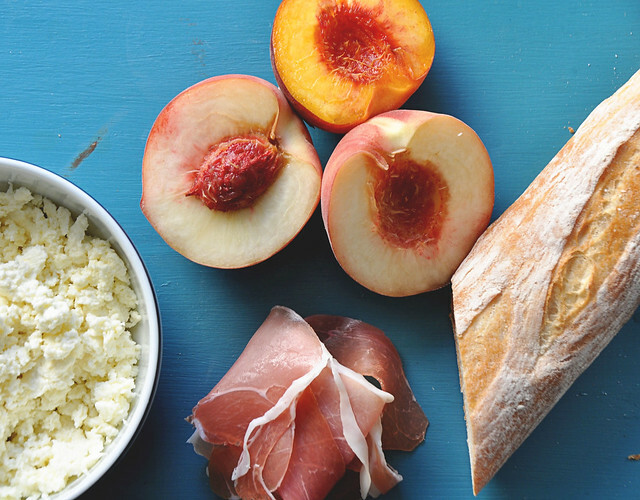 I know what you are thinking, peaches and prosciutto? That is a weird combination. But just think of it as Georgia twist on the Italian staple of melon and prosciutto. Trust me it totally works. 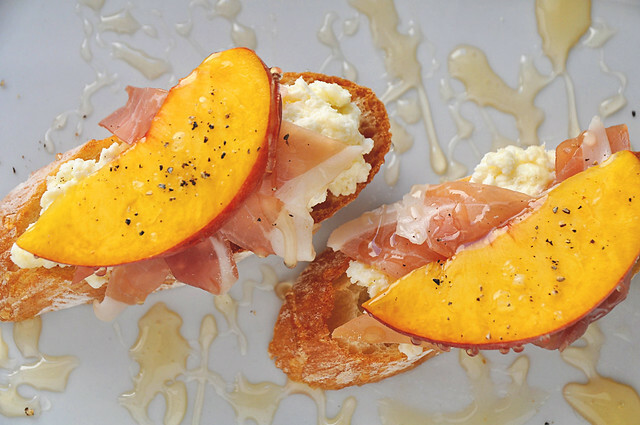 The sweetness of the peaches, creaminess of the ricotta, saltiness of the prosciutto - perfection. Also, this would be a pretty darn good sandwich, just sayin'. Enjoy! Spoon about 1 tablespoon ricotta onto each toast and sprinkle with ground pepper. Tear prosciutto into feathery pieces and drape a few slices over ricotta on each. 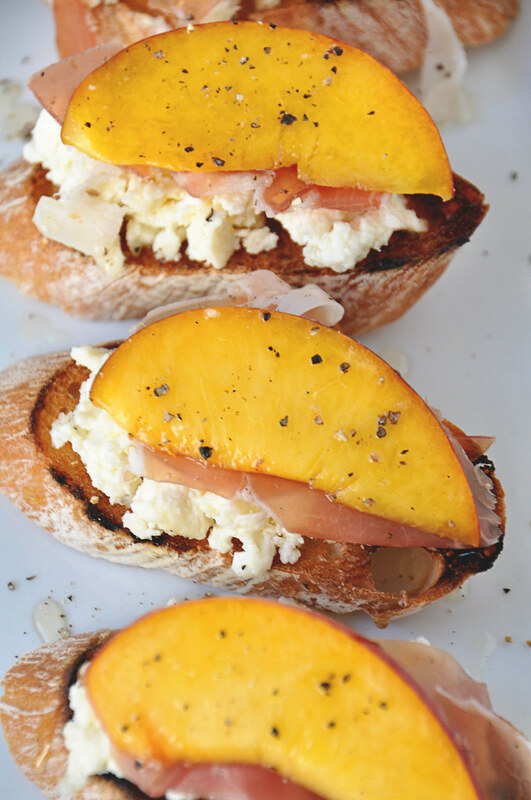 Top with 1 -2 slices of peaches (depending on your bread size) and then drizzle each with honey. Top with freshly cracked black pepper.